To create a message, navigate to Messages using the side navigation bar or by clicking on the link below. Open a new message by click the "New Message" button in the top right hand corner. Name your message to help you identify it in Scout. To filter by service type and assigned user, you must choose a date range. The Assigned user filter is based on the user type you choose. 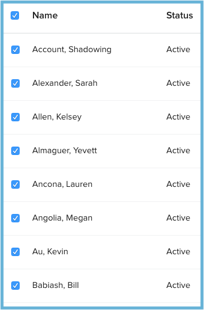 If you choose a customer audience, you can filter by assigned staff. 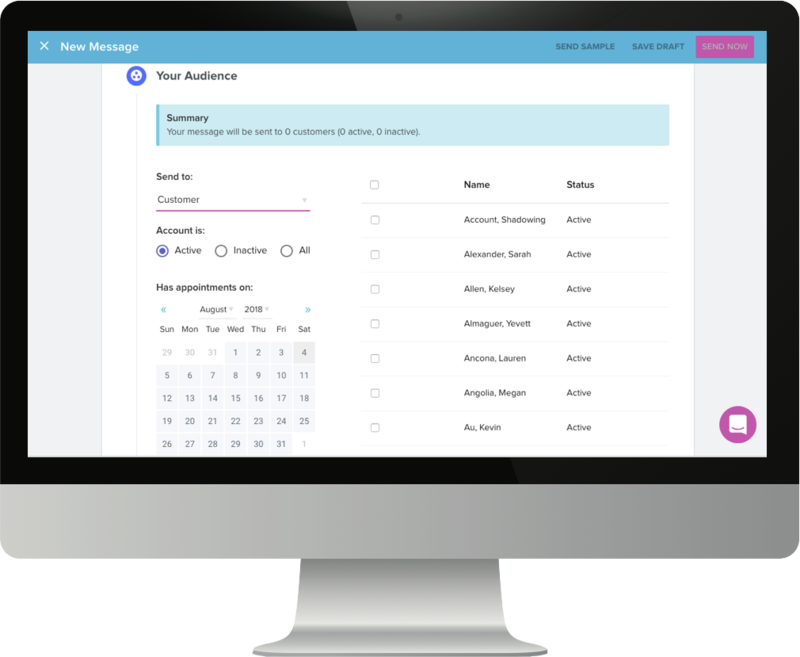 If you choose a staff audience, you can filter by assigned customers. Once you have defined your audience, you can use the checkboxes to select one or more recipients. Once you have selected your audience, you can compose or copy and paste a message in the editor. Use the formatting tools to style your message. Before sending your message out to your audience, you can send a test message. Enter the email address where you want to send the sample and click "Send It"
To compose a message in advance and send it later, you can save the message by clicking "Save Draft" in the top right corner. When you're ready to send your message, click "Send Now" in the upper right hand corner. If you are sending from a draft, open the message and click "Edit Message" then click "Send Now"
You can use any draft or previously sent message as a template for a new message. Select the draft or sent message you would like to replicate. Click the "More" drop down menu in the upper right hand corner. From the drop down menu, select "Duplicate." A new message will open. The message name will be appended with the hashtag "#DUPLICATE" which can be edited. To view the status of a sent message, select "Sent" from the left Messages navigation. You can view the message status in the sent messages table or by opening the message. To view the status details, open the message and select the appropriate tab. 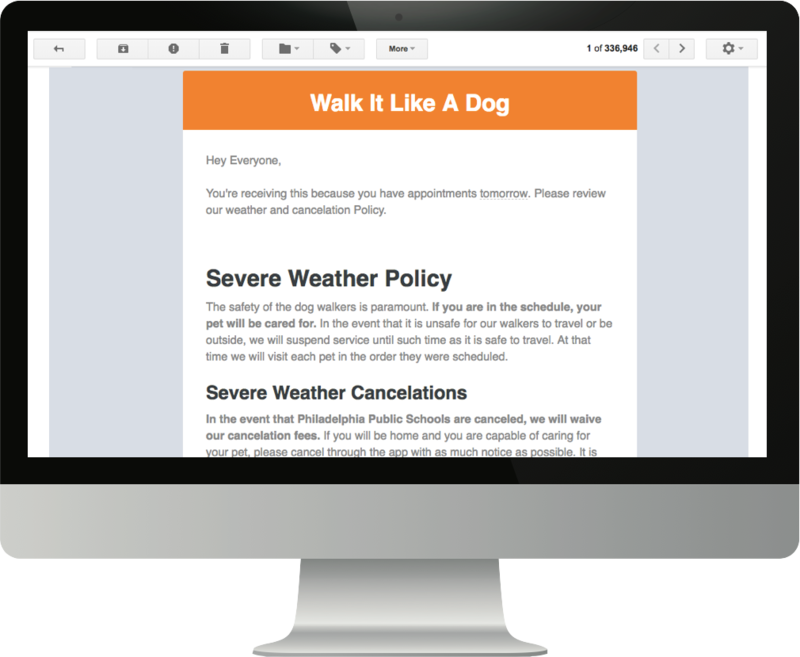 Your email header will adopt your "Branding" settings. Click here for more information about branding. Want to add an image to your logo? Here's an article to help.